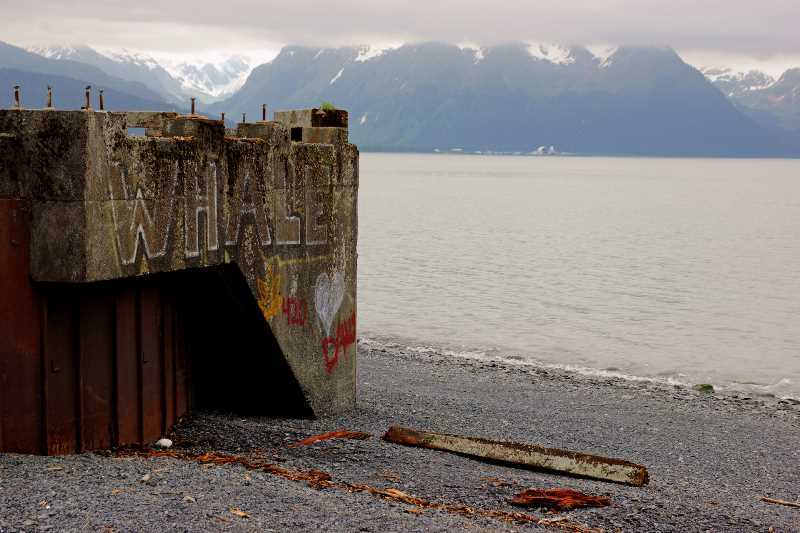 The name “Seward” carries a lot of weight in Alaska, and for good reason. William Seward was the Secretary of State who convinced the government to buy this land from Russia, more than a century and a half ago. The state still celebrates Seward’s Day, at the end of March every year, to honor his achievement. 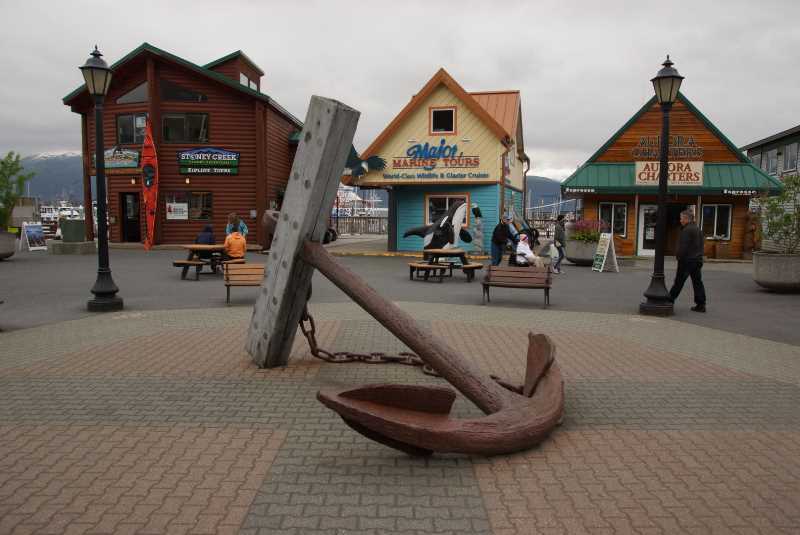 So it only makes sense that one of Alaska’s nicest cities would be named in Mr. Seward’s honor. 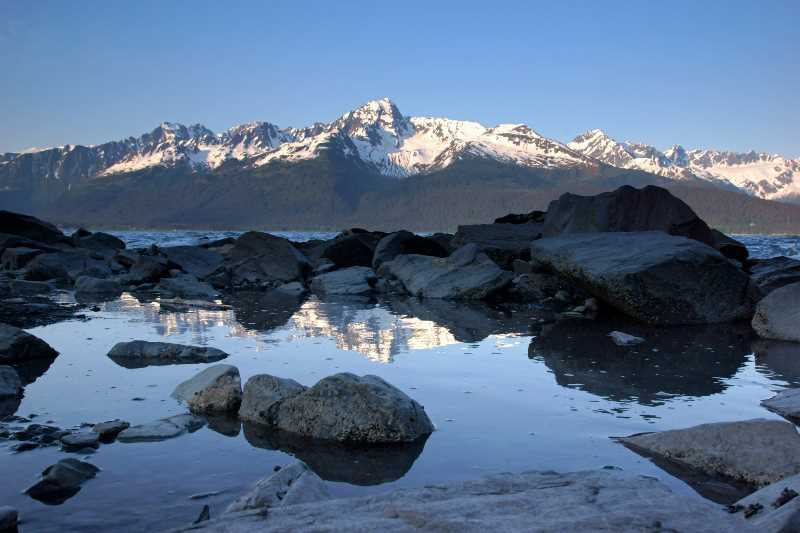 Seward is located at the end of the Seward Highway. From Anchorage, take the main road out of town, headed southbound. The Seward Highway is Alaska Route 1, then Route 9. 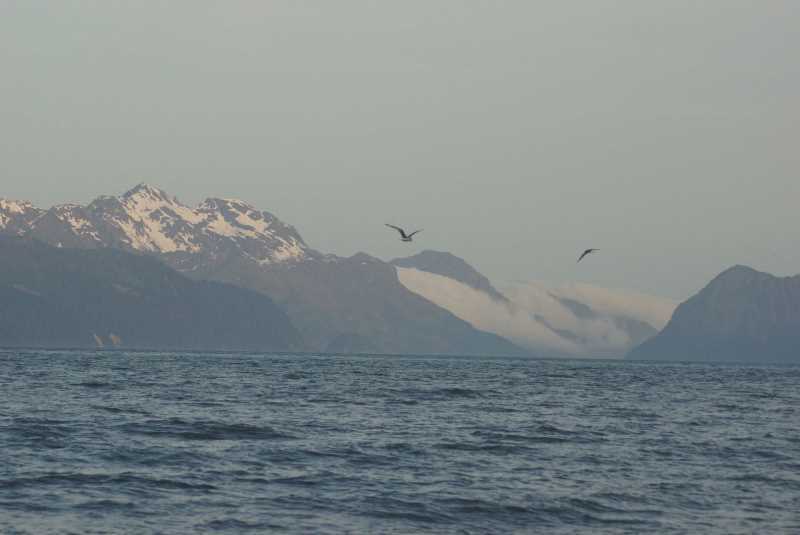 Seward is sandwiched in between the mountains and Resurrection Bay — an inlet from the Gulf of Alaska and Pacific Ocean. After rushing my trip down to Homer and back, I was spending two nights in Seward, and I was thrilled to be taking it easy for a while. I arrived in Seward after a long day of driving, but because this was late Spring, there was still plenty of daylight remaining. So, I did some exploring. 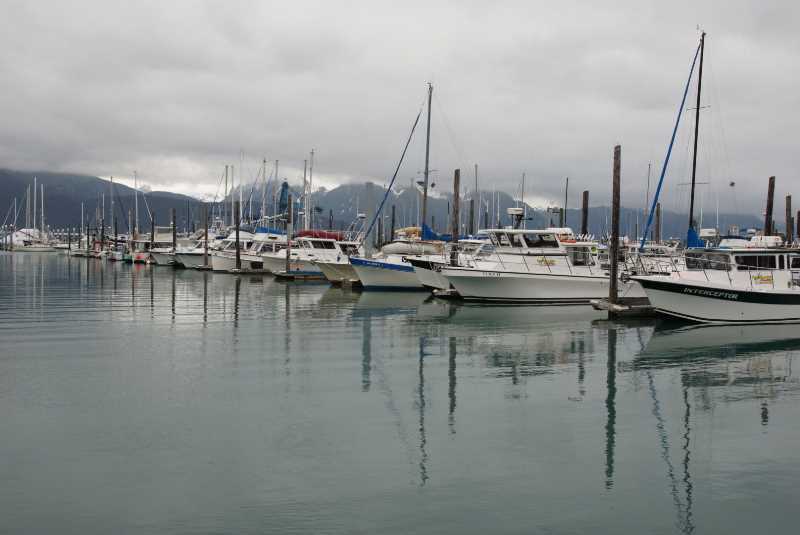 If you’re staying in downtown Seward, you’re never very far from the waterfront. And the waterfront is simply beautiful — especially in the evening, when the town is in shadows, but the mountains on the far side of Resurrection Bay are still lit by the orange glow of the setting sun. 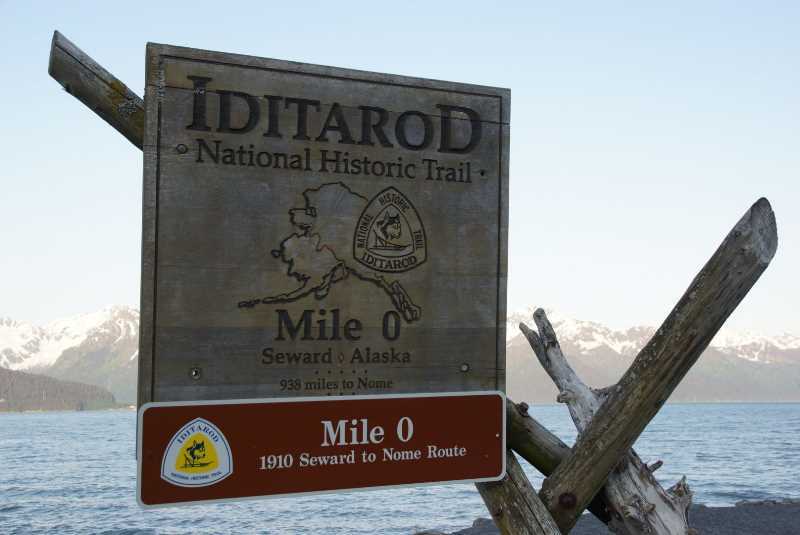 I took a walk from my motel room and headed towards the water, and within moments I was at Mile Zero of the Iditarod National Historic Trail. The route was established in the early 1900’s to connect Seward with Nome. At the time, it had nothing to do with an annual dogsled race. The route was used by prospectors and anyone else who had business deep in the Alaskan wilderness. The modern-day Iditarod sled dog race begins in Anchorage, and runs 975 miles to Nome. The race takes place in March. … and a defunct boat ramp. It was beautiful along the water, but also quite chilly. The sun hadn’t hit this part of town for hours. Along this part of the waterfront, there’s a large campground. I envied those campers next to a roaring campfire, but I was very happy to remember that I had a cozy motel room to return to. I live in Florida, and seagulls are a common sight. Generally they’re noisy and annoying, and they certainly don’t leave a lasting impression. 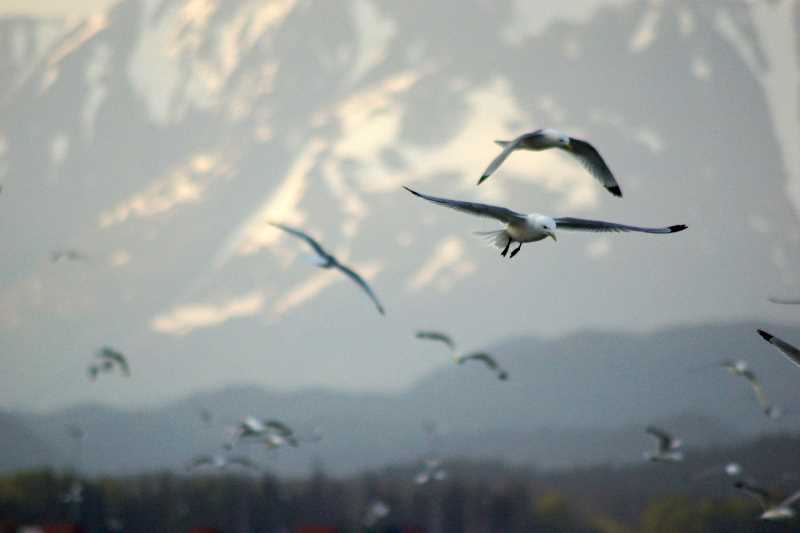 But, the seagulls in Seward are incredible! There are countless thousands of them, filling the air. It’s fun to at least attempt to photograph them, in front of the towering mountains that surround Resurrection Bay. … and I was noticing something unsettling on the horizon. Down by the bay’s exit into the Pacific Ocean, fog was rolling in. I had a feeling I had seen the last of blue skies for a while, and I was right. My accommodation for the night wasn’t exactly a conventional hotel, but it wasn’t a bed-and-breakfast or AirBnB either. I was staying at the Sea Treasures Inn, which is really just a house that’s been converted into a motel of sorts. My room was on the first floor, under the porch. But, the other end of my room opened up to a staircase that connected to a common kitchen area. I was very happy to find that it was stocked with breakfast foods, which I was more than happy to consume for dinner. 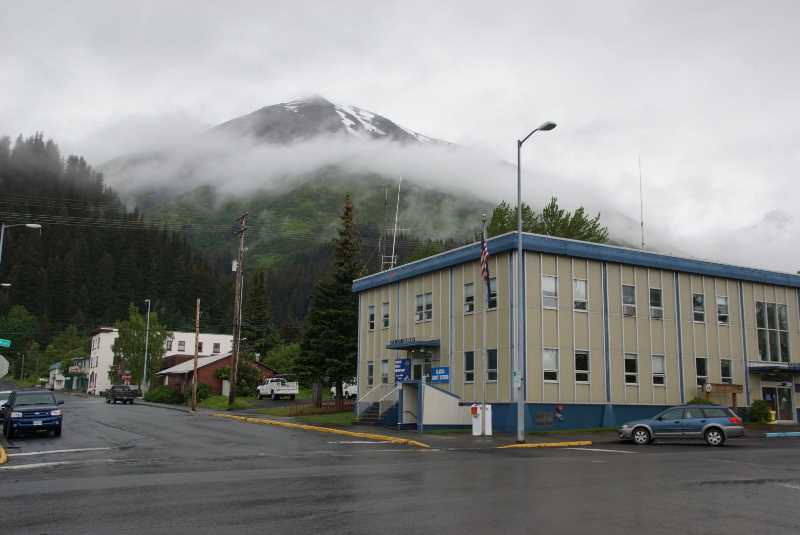 The start of my full day in Seward began with grey skies and some drizzle. 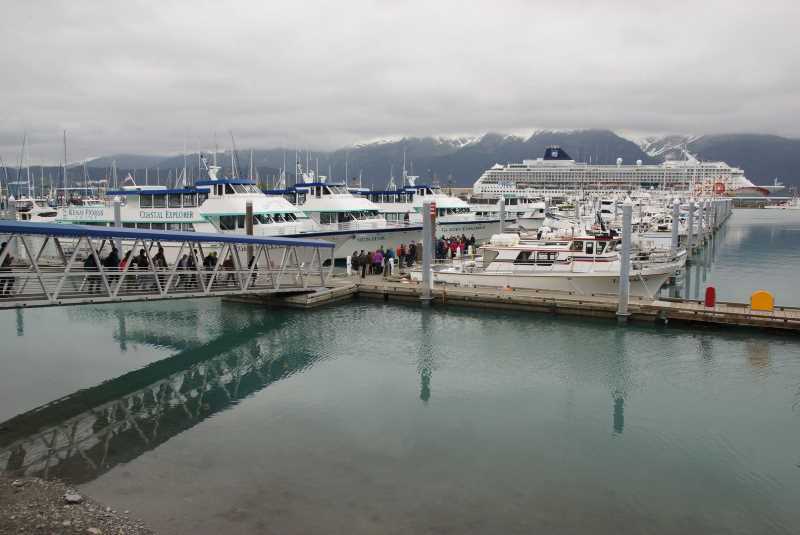 I had considered taking a scenic cruise on this day — boats depart Seward for half-day and all-day excursions, exploring the inlets of Kenai Fjords National Park. But with gloomy weather moving in, I decided not to pay for a boat trip. Instead, I started my day with a drive further south. Seward is the end of the state highway, and it’s also the end of the pavement, but there is a dirt road that continues further south, along the very edge of Resurrection Bay. This is Lowell Point Road, which connects Seward with Lowell Point — a slight protrusion of land into the bay. There are a few businesses, residences, vacation rentals, and for some reason a railcar from the Alaska Railway at Lowell Point. Also at Lowell Point, you can start a hike down the Caines Head Trail, which travels about 7 miles further down the coast. Be aware, though, that part of the Caines Head Trail passes through a tidal zone, and can only be hiked during low tides of +3 feet or lower. While Lowell Point itself didn’t capture my attention, or occupy much time, the drive down and back was excellent…. … thanks in part to this guy. 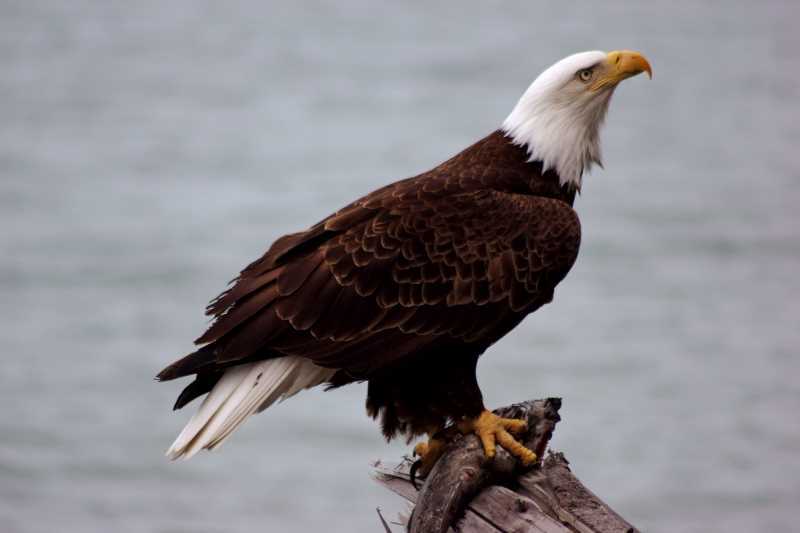 This was my closest encounter with a Bald Eagle during my visit to Alaska. This bird was especially cooperative. 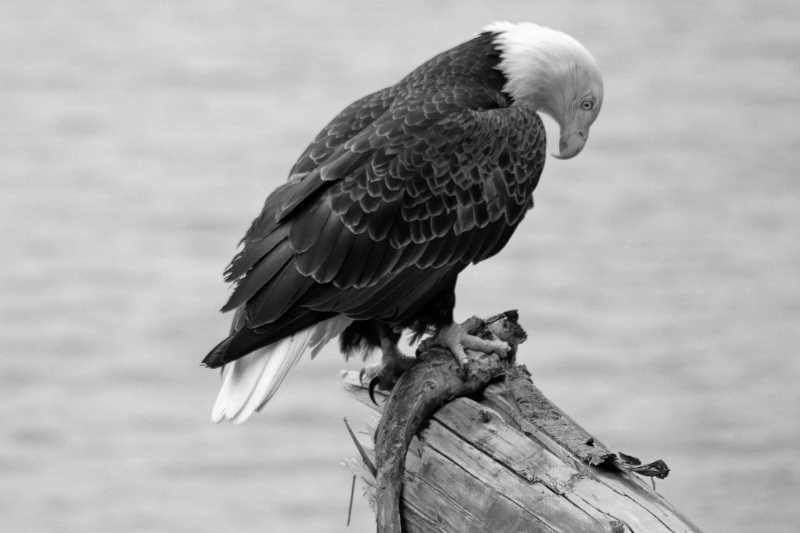 He perched on a tree branch at the edge of the road, proudly showing off his patriotism, and the fish he had just caught. I took a few good pictures before he moved on. This big thing is also parked at the side of the road. I’m guessing it’s nicknamed the “whale ” because it’s large. Or maybe I’m giving the graffiti artist too much credit. 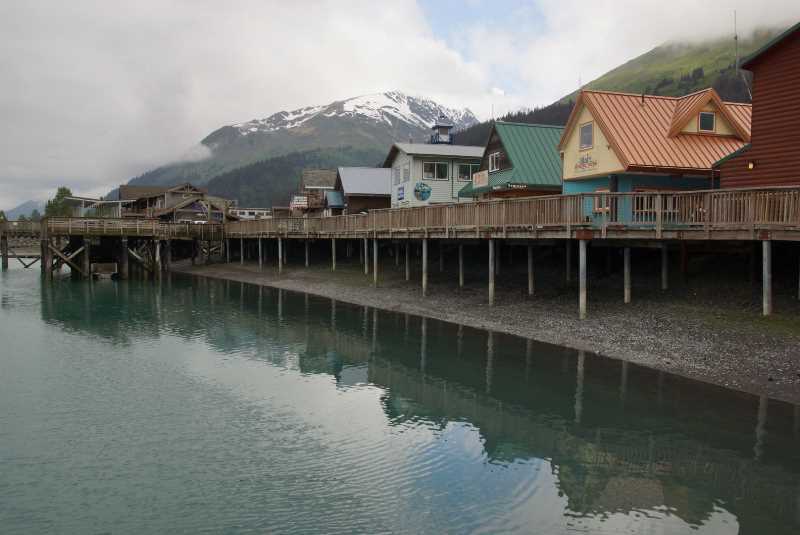 As you re-enter Seward, the first thing you’ll see is the Alaska SeaLife Center. 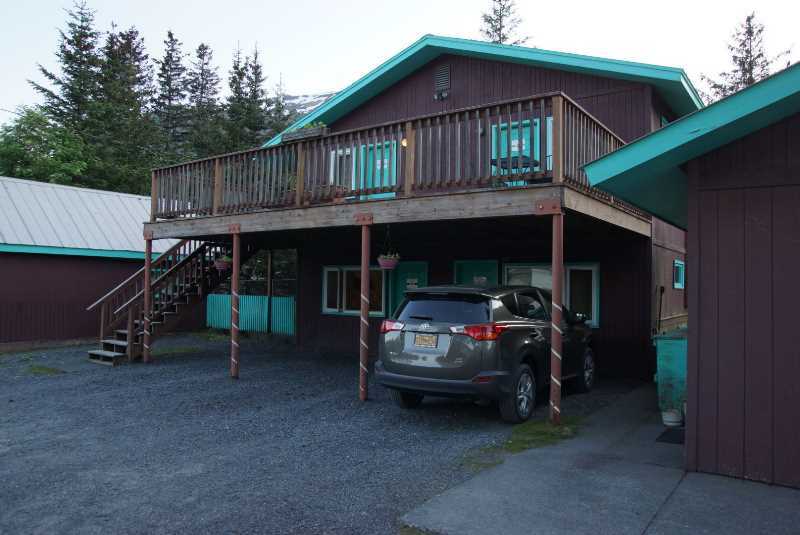 It claims to be Alaska’s premier public aquarium. I already had a full plate for my day, with plans to head out to Exit Glacier. But, if I had another day in Seward, I probably would have checked it out. And if you’re traveling with kids, you should probably move it to the top of your list. 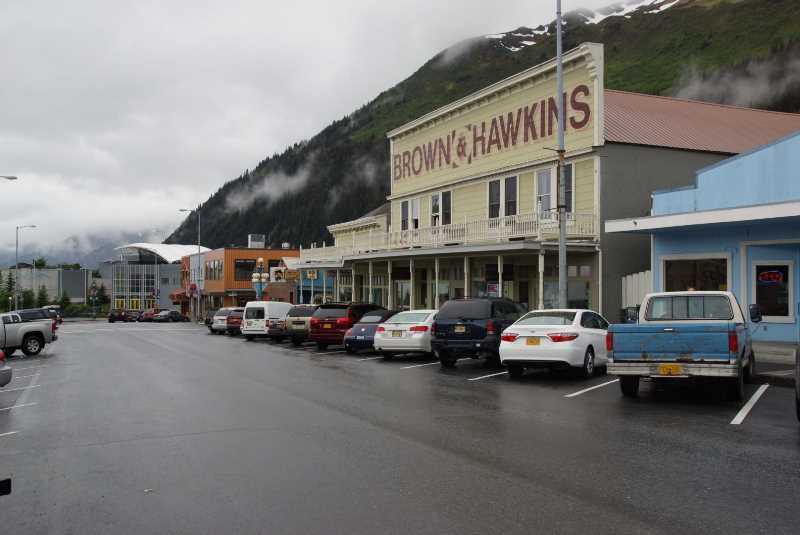 Seward’s downtown business district is lined up along 4th Avenue, just one block east of Highway 9, which follows 3rd Avenue through town. Notice that big mountain on the edge of town? That’s Mount Marathon. It’s a mile-and-a-half hike (one way) to the 3,022 foot peak. That may sound like a miserable 3-hour slog to most people, some have actually made the round-trip to the top and back down, in an hour or less! According to Alaska.org, the fastest recorded time is 43 minutes, 22 seconds. That’s faster than I could run three flat miles! You can hike the mountain anytime, but to avoid feelings of fatness and out-of-shapeyness, don’t go on July 4th. On that day, every year, about 800 people participate in a race to the top of Mount Marathon. I considered a hike up Mount Marathon as part of my full day in Seward. But, my time at Exit Glacier took most of my day. Add to it, the cloudy, drizzly weather didn’t exactly lend itself to postcard-quality views at the top. So, I put it on my list for next time. If you decide to go, you’ll find the trailhead at the end of Monroe Street. On Adams Street, you’ll find the old Liberty Theater, which unfortunately closed in 2013. Now, the nearest theater to Seward is in Soldotna. The white building next-door is the Van Gilder Hotel. I had considered it as a low-price place to stay, but it receives some very mixed reviews online. If you do stay there, be prepared to share a bathroom with other guests. 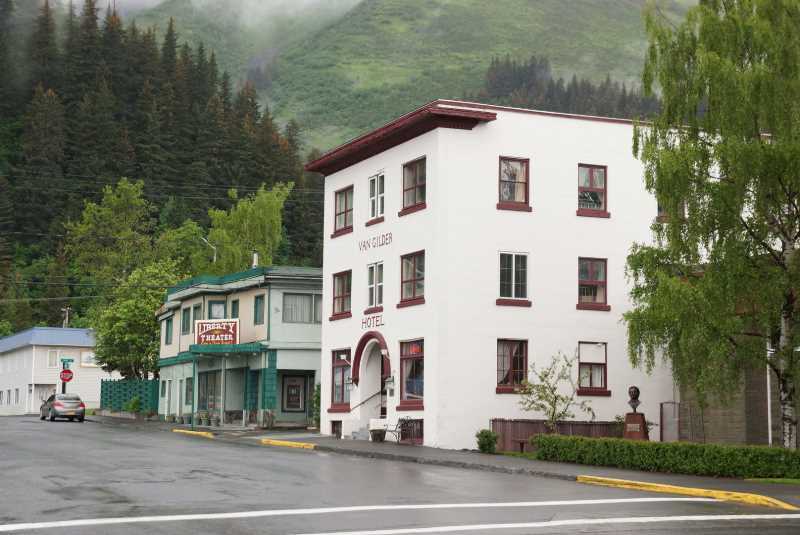 If you drive north a few blocks from downtown, you’ll arrive at Seward’s port. No surprise, this is a hub our tourist activity in Seward. Odds are very, very good that you’ll even see a super-sized cruise ship arriving or departing. 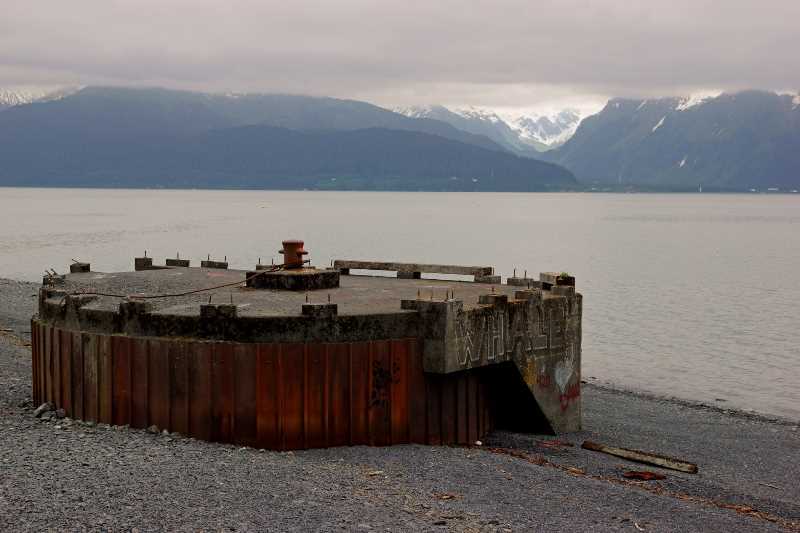 This is also the spot where you would catch a scenic day-cruise to see the far reaches of Kenai Fjords National Park. The park has an information center in this area of town, so you can figure out your strategy. After wandering around the docks and shops for a while, my strategy was to drive out to Exit Glacier, on the only developed road into Kenai Fjords National Park. We’ll explore all your options at Exit Glacier on a separate page. This Drivelapse video shows you the drive south of town to Miller’s Landing, then back through town and out to Exit Glacier.